In today’s digital world, letters have taken a backseat and have been overpowered by short and concise text messages and informal e-mail. Writing letters used to be an ubiquitous way of communicating with people, but it sadly now has reached a point of extinction. Creating thank-you letters is a personal choice, but deciding to craft one can create a lasting impression. Thank-you letters are considered to be one of the most sincere ways of expressing one’s gratitude. A personal thank-you note is not just a formal way of expressing appreciation; it also aids in establishing good rapport. 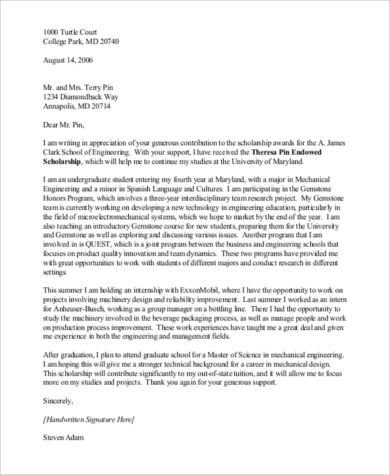 Below are Sample Letters for organ donors, church and school benefactors, philanthropists, and more. Transplant recipients may opt to send thank-you letters to their donors or their families as a means of expressing their gratitude toward them. While organ recipients might be in a celebratory mood, some donor families may be grieving the loss of their bereaved family member. Offering a letter of gratitude and expressing your condolences would mean a lot. Thanking your church and school benefactors is one of the simplest and most effective ways of creating a lasting relationship with them, particularly during special school or church events where financial aid is greatly needed. 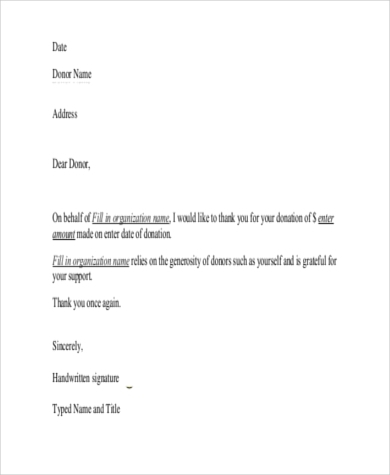 Sending your benefactors a hearty letter of appreciation has been statistically proven to show a rapid increase in further donations and support. View more Donation Letter Samples here. 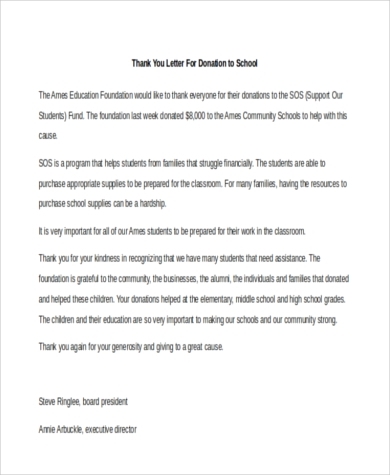 Letters of gratitude for a charitable donation usually aim to show your appreciation for the support of the foundation and highlights the impact that the donor has made toward the organization. Keep in mind that most philanthropists are supporting more than one foundation and sending out a note of thanks will help keep your organization on the checklist. Being a scholar means that your academic abilities and skills stood out among all other applicants. Having a scholarship donor shows that someone took the time to be generous enough to support educational endeavors without asking for something in return. A thank-you letter from a student makes donors feel appreciated and reminds them of the purpose behind their unwavering support. Non-profit organizations who usually support a cause and periodically do charity events are in constant need of benefactors. 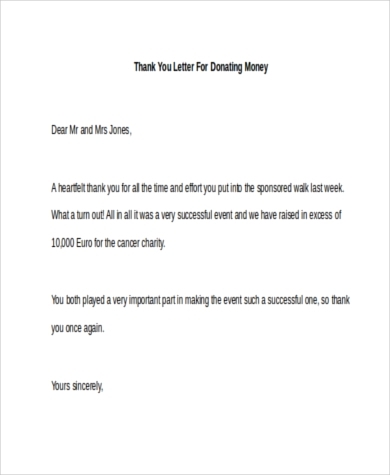 Sending sponsors a letter of thanks will guarantee future support for charitable events and will increase more support from them.